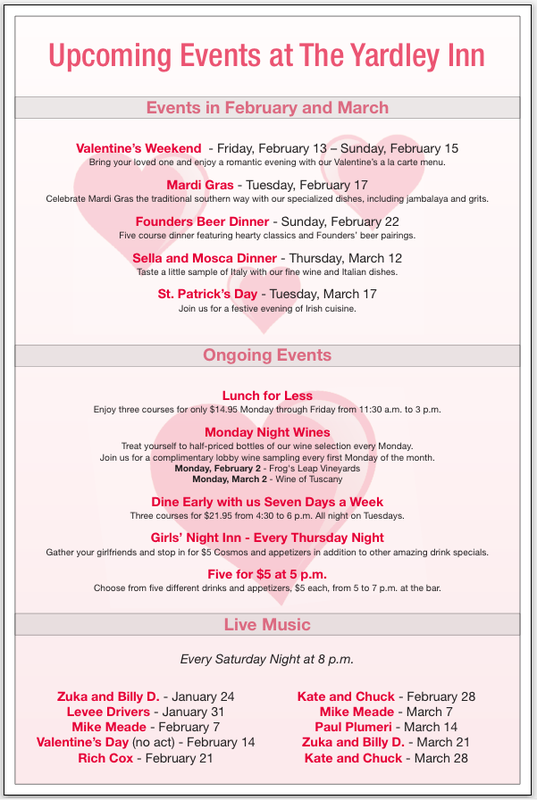 You can make a reservation at the Yardley Inn for any future date conveniently using the form to the left or by calling the restaurant at 215-493-3800. Monday – Saturday 11:30 a.m. – 3p.m. Everyday: 3 pm until close. Monday – Thursday 4:30 p.m. – 10 p.m.
Sunday 4:30 p.m. – 9 p.m.